Medical billers and coders are responsible for maintaining patient records and using special codes to work with doctors and insurance companies. It’s a unique career opportunity that combines medical terminology with insurance and billing techniques. At the American College of Healthcare and Technology, a medical billing and coding certificate can be achieved in just 8 months. You’ll learn all the necessary skills needed to successfully find an entry level career in this field, including billing and coding details, medical terminology, and office management. But, graduating from the American College of Healthcare and Technology is just the first step. What can you expect when you start a career as a medical biller and coder? Let’s take a closer look at a day in the life of this position, and the difference you can make in people’s lives. There are many different job opportunities for medical coders. Medical Billers and Coders work anywhere from a physician’s office to a hospital. Insurance companies, pharmacies, and nursing homes also often hire billers and coder. Because it’s such an essential medical job, some medical billers and coders are even able to work from home! Depending on where you work, the daily tasks you face might be a little different. But, each day usually starts the same for anyone in the medical billing and coding field. You’ll start your day by going over any charts that need to be reviewed. It’s your job to assign codes to different procedures that were performed and diagnoses that were made. The work environment of a medical biller and coder is usually some type of desk or cubicle. Many workers are given two computers or monitors so they can complete their charts on one computer monitor, while looking up codes and information on another. Keep in mind, coding and terminology are taught during your time at the American College of Healthcare and Technology. But, a big responsibility of this job is to constantly keep learning. With so many codes for both medical terminology and billing, it’s nearly impossible to have each one memorized. Some charts will also be more difficult to work with than others. You may come across an unfamiliar diagnosis, or you may not be sure how to accurately use a code for billing. A good medical coder and biller will always be willing to learn and do the proper research to get the job done. Because you’ll need to adequately fill out and file medical insurance forms, it’s important to have knowledge in areas like Medicare/Medicaid, various insurance plans, and workers’ compensation. As you can see, there’s a lot to cover within this career. That’s why it’s so important to go through a certification process you can trust, like the one offered through the American College of Healthcare and Technology. For the right person, a medical billing and coding job can be an extremely fulfilling and successful career. And, after graduation, our career services department will help you find a job! 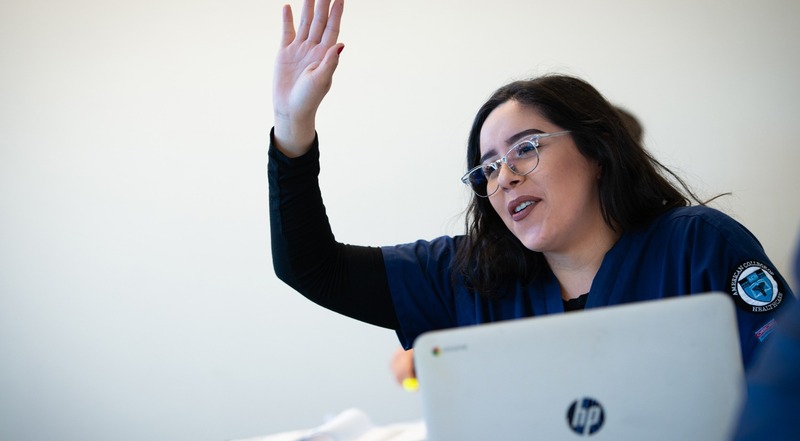 Our Huntington Park Campus offers the following programs: Medical Assistant, Medical Billing & Coding, Veterinary Assistant, HVACR, and Massage Therapy & Physical Therapy Aide.